Los Angeles detectives are investigating another shooting at a marijuana dispensary. 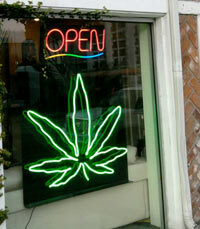 In Northridge this past weekend $11,000.00 was stolen from a dispensary, and an employee was shot in the face. He was taken to the hospital and was in critical condition according to a Los Angeles Times' article. Days before on Thursday, June 24 two stores in L.A. were held up. In Echo Park two employees were shot, one of them died. Another pot dispensary in Hollywood was also robbed; multiple robbers entered and killed one person during the incident. This activity has concerned officials but they have not established a connection between the three robberies. See, Penal Code Sections 211, 245(a) (1) and 187.